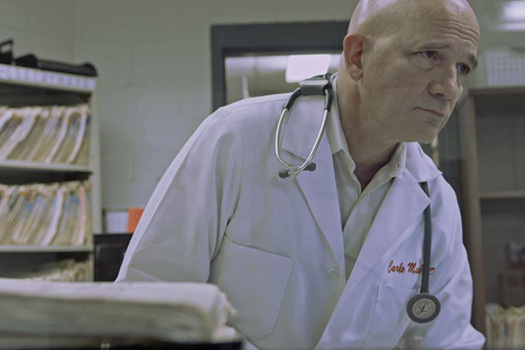 Dr. Carlo Musso has been helping the state of Georgia execute inmates via lethal injection since 2003. The medical community strongly and unanimously opposes the use of medicine for executions. Yet, most states practicing lethal injection require a physician presence. In exchange, they offer a cloak of anonymity. The Sandman explores Dr. Musso’s own moral equivocation and justification for providing “end of life care” within the correctional environment, while personally opposing capital punishment. Lauren Knapp works across platforms to share true and compelling stories. She has been working in film, television and radio since 2006 and her stories have appeared on the PBS NewsHour, PRI’s The World, WQED, and The Atlantic Monthly website. In 2011, she moved to Ulaanbaatar, Mongolia with the support of a Fulbright-mtvU Fellowship where she created Live From UB an award-winning feature length documentary on rock music and national identity among Mongolia’s urban youth. Lauren’s work pushes beyond traditional media. Her first piece in 360 video and a collaboration with Stanford University’s Virtual Human Interaction Lab, The Crystal Reef, premiered at Tribeca Film Festival. With a bachelor’s degree in anthropology from Grinnell College and a background in journalism, Lauren found a marriage of her interests in documentary film. Lauren received a master of fine arts in documentary film and video from Stanford University.